There’s nothing I love more in skin care than an overnight mask but a lot of them don’t work quite as well as I want them to. I’d never used anything from Origins before and we received the Breast Cancer Awareness version of their Drink Up Intensive Overnight Mask a few months ago. We get so much skin care to review that this honestly stayed on my shelf until a couple weeks ago when I started getting my seasonal dry, scaly patches near my mouth. I tried about ten new products to help me get them cleared up with zero success and then I tried Drink Up Intensive. This overnight mask felt a little different right away. It’s a little bit thicker than I’m used to and took a good twenty minutes to fully absorb (so wait a little while before you go to bed) but it smells amazing, like rose and apricots and felt soothing right away. I woke up with seriously radiant skin, so much that people kept telling me that my skin looked amazing. And those scaly patches? 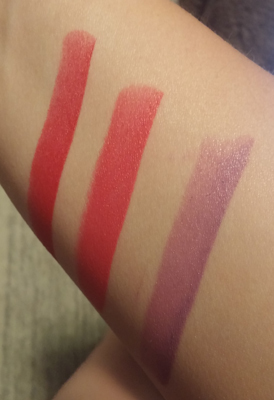 One application turned them into simple red patches and the more I use it, the better they get. 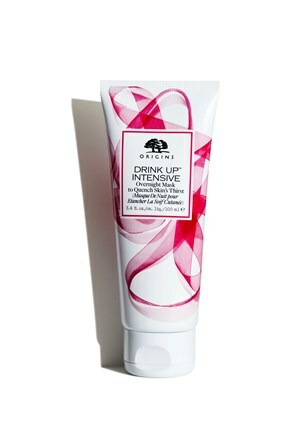 I’m really happy I tried Drink Up Intensive before winter gets into full swing because this mask is going to save my skin and I’m already wondering what other Origins products I’m missing out on. If you want to try this mask, you can get the Breast Cancer Awareness version until December 31, 2016 and as part of the The Estée Lauder Companies’ BCA Campaign, $5 off each one will be donated to the Breast Cancer Research Foundation up to $40,000. Lise Watier is changing the way that you think about BB creams. When you see the words BB, you probably think more of a foundation type product. 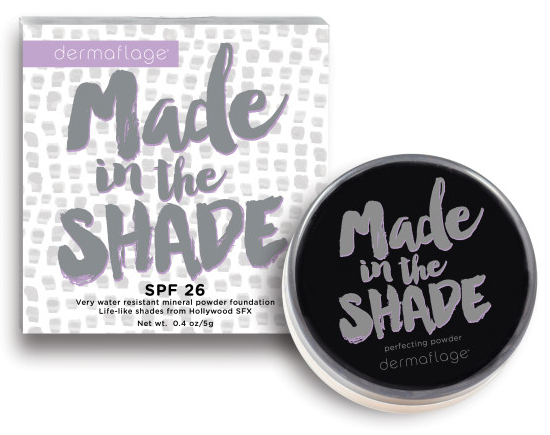 Other BB creams have coverage from light to full coverage giving you a different option from your regular foundation combo. Lise Watier’s Hydraforce BB isn’t like that. When you go on their website, you might have a hard time finding it, because this BB isn’t in makeup, it’s in skincare. 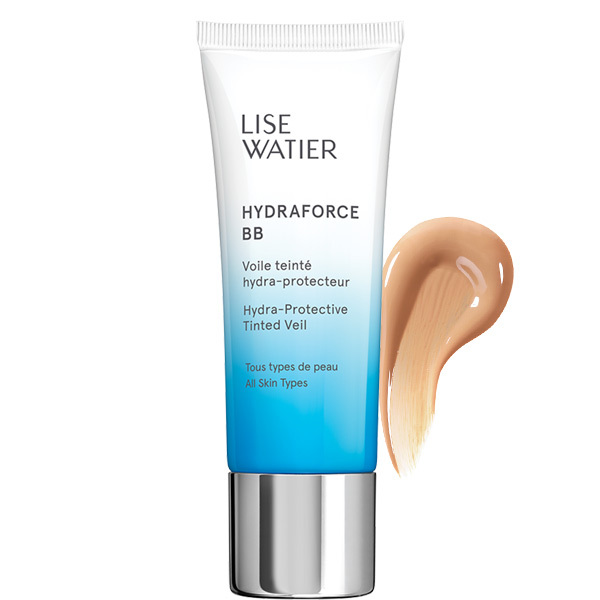 Lise Watier has made a BB cream that is ready to protect your skin first. This cream is really moisturizing. It has a slight tint in it, but it’s not enough for any kind of coverage. 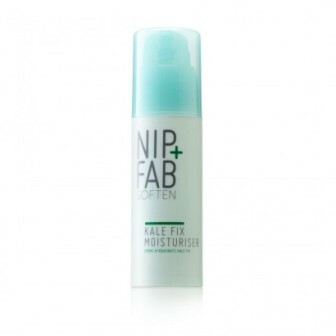 Look elsewhere if you want to hide blemishes or discolouration. This is all about moisture. I did find that Lise Watier’s BB cream made my face a bit shiny. I know that is part of the product giving me a healthy glow, but it’s too shiny for my liking. If you need a new tinted moisturizer, I would recommend giving this a try, just know that it’s a moisturizer. I’m definitely not on the kale bandwagon but I get why people are, so I’m not surprised that skin care companies have jumped on it. 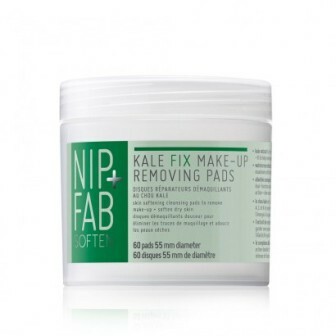 When we received Nip + Fab’s Kale Fix collection, we weren’t really sure what to expect. Both of us had the chance to try the products and we had some interesting (and non-interesting results). When I try a new skin care line, I generally try out the moisturizer first. 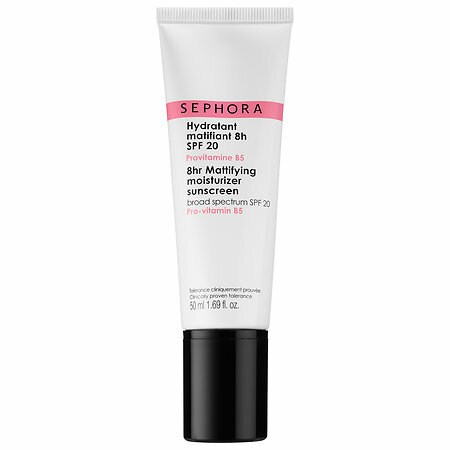 I like a lot of things about this one; it’s light, it moisturizes and it absorbs really quickly. All in all, a good option for a daytime moisturizer. It’s really too bad I hate the kale scent of it. It’s such a strong scent that I literally used this twice so I could review it and then gave up. I wish there was less of a smell because I would’ve used this a lot more. I’m used to using huge wipes to take off my makeup but these pads actually come in really handy. I use them to just take my eye makeup off before I use my Clarisonic or after a shower when I have some leftover mascara run-off and they don’t sting or dry out my eyes. I generally use one pad per eye and they’re not the greatest at waterproof mascara so I have a tendency to go through these pretty quickly. They get the job done though and I was completely surprised by how much I liked them. I have used a ton of masks this year, so I feel like I have become pickier as we get into the second half. I had high hopes for this mask because of the brand and the fact that it’s a clay mask. I am used to clay masks really drawing out everything that is clogging up my skin. Unfortunately, I wasn’t overly impressed with the Nip + Fab mask. The colour was fun (who doesn’t love a bright green face mask?) and it did dry like a regular clay mask, but when it was cleaned off my face didn’t feel super clean. In the end, that’s really what it comes down to and unfortunately it didn’t live up to it. 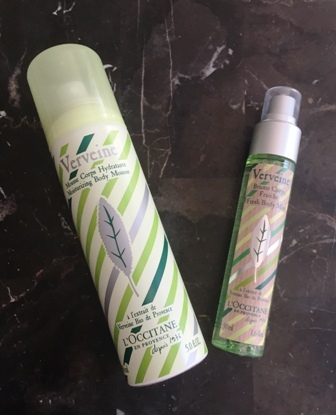 If there’s one L’Occitane line I love the most, it’s the Verveine collection. I’ve always loved the scent of verbena and they just keep adding new products to the line. Like last summer’s additions, this year’s are equally refreshing in the crazy Toronto heat wave. We tried two of the products; the Moisturizing Body Mousse and the Fresh Body Mist. The Moisturizing Body Mousse is extremely hydrating and cooling (and really fun to use!) but you’re definitely going to want to avoid touching your face for a while or wash your hands really well right after you apply it because it can make your eyes sting. That’s really the only downside though. 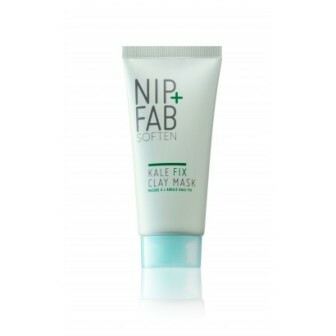 Right after you put it on, your skin feels soft for hours and there’s no stickiness and it dries instantly. The Fresh Body Mist is equally refreshing and an really light, fresh scent. Unfortunately, the scent doesn’t seem to last very long on me. It almost disappears as quickly as I spray it, but I do enjoy how refreshing the scent is when I use it. The bottle is small enough that you can throw it in your purse and use it as often as you want. If you’re looking for ways to get refreshed, this line is a good place to start. 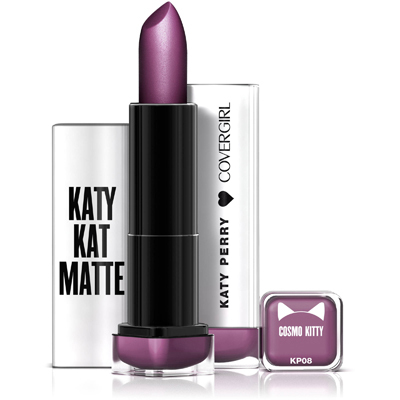 Your favourite affordable clothing line now has makeup available at Shopper’s Drug Mart! It’s so exciting to be able to get our hands on this makeup whenever we want. It’s not just makeup though, but also these wipes that help remove makeup too. These wipes are so soft on your face. The scent of baby powder is a nice surprise for cleaning my face. At first glance, you might not think these wipes will give you a deep clean, but give them a chance. I was surprised at the very clean and very moisturized feeling left on my skin. Anew is Avon’s most popular skin care collection, or at least it’s the one I’ve heard of the most and in August they’re introducing the Anew Clean Mini Cleansers. There are six products to choose from. Three traditional cleansers, a cleansing water, toner and a scrub. The gel cleanser is meant for oily/combination skin, the rich cleansing foam is for normal/combination skin and the cream cleanser & mask is for normal/dry skin. The cleansing water let’s you cleanse, hydrate and tone without needing water and the toner gets everything that you missed off. If you’re like me and love exfoliating, the daily scrub is a gentle way to do it. All of these will be $6 each and are available as of August from whoever you get your Avon from. In the meantime, I’ll be taking a couple of these on vacation with me. 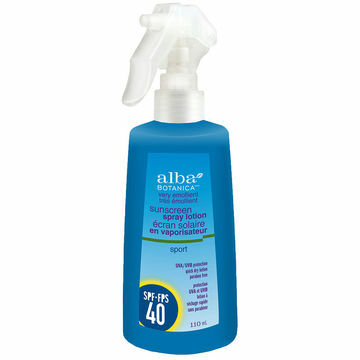 I want to start this review by saying this sunscreen works great! It’s a bit concerning to use natural sunscreen, because you want one that you can trust. I prefer a name that I already trust for my sunscreen most of the time, because you can’t mess around with things like that! This is one that you can believe in. The Sport version the sunscreen lasted for a full long bike ride in the beating sun with no burns at all! My problem is with the spray bottle that this sunscreen comes in. If you are going to make a spray sunscreen, make sure that it really sprays. This sunscreen shoots a thick lotion in one stream at your arm. It doesn’t spray it around at all. To get it on your arms or legs, you have to really aim carefully or you will miss them and shoot it across the room. It’s easier to just spray it in your hand and then spread it. There is also a regular style bottle, which I feel like is just as good. The morale of the story is great sunscreen, bad spray bottle. Opt for the regular bottle and your summer will be great! Father’s Day is this weekend and other than posting about the usual gifts, thought we’d make some skin care suggestions for the men in your life. While men are getting better at taking care of their skin, a lot of times we have to buy the products for them. 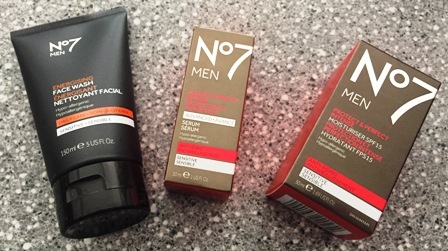 No7 (available in Canada at Shoppers Drug Mart) have a great men’s selection and this grouping gives them everything they’ll need for great skin. 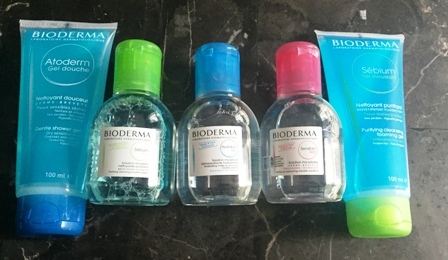 These are all suitable for sensitive skin and the moisturizer has SPF in it. The serum and moisturizer have anti-aging properties while the face wash will give them a little boost in the morning. While it’s nice for men to have their own products, it’s even nicer when they have stuff we can share. 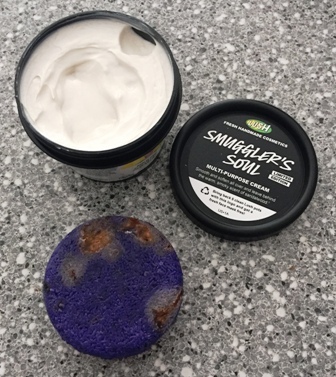 Lush’s Smuggler’s Soul line smells so good you’ll want it for yourself. With sandalwood, lemon balm and jojoba, the Multi-Purpose Cream can be used for face, body, hair, shaving and pretty much anything else. It also absorbs really quickly so nothing will get greasy. 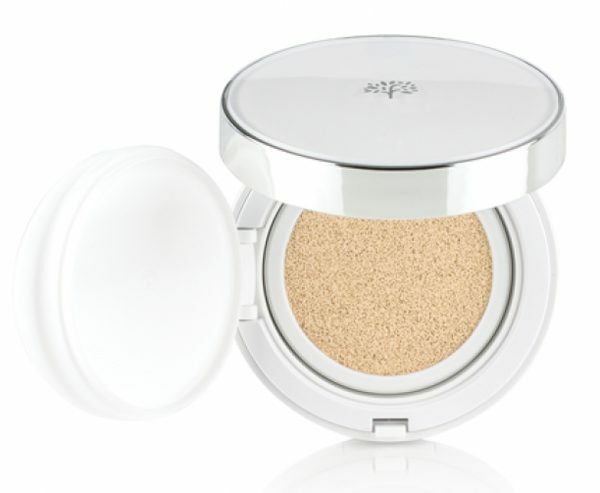 Pair this one with the matching scrub and anyone who uses it will have super smooth skin. The shampoo bar has a similar scent and gently cleanses hair while cocoa butter moisturizes. I would love for this line to stick around because I know a lot of guys (and girls) who are going to love it.